In October 2017 NHS England informed the Committee of Public Accounts that it had discovered a backlog of 162,000 items of clinical correspondence that had not been redirected. NHS England stated that a small proportion of GPs had not been complying with guidance and had erroneously been sending clinical correspondence and other material to Capita, the current provider of primary care support services for NHS England. Capita has no contractual responsibility for redirecting clinical correspondence. This investigation sets out the facts around the backlog of unprocessed correspondence. NHS England introduced new arrangements for handling misdirected correspondence in May 2015. 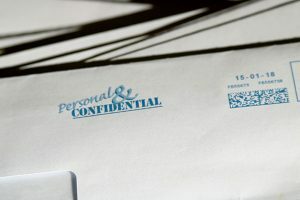 After 31 May 2015 recipients of incorrectly addressed clinical correspondence were to return mail to senders to comply with legislation and NHS England information governance. Between 1 June 2015 and 31 March 2016 an unknown number of GP practices continued to send clinical correspondence to their previous Primary Care Services (PCS) centres for redirection. Capita told us that during this period it operated procedures it inherited from the 36 PCS centres it was then managing. As these sites were closed under Capita’s PCS transformation plans from March 2016 onwards, Capita made an inventory of all records at each site and shared this with NHS England. The inventories made reference to ‘clinical notes’ but at this point no-one identified these notes as unprocessed clinical correspondence. In October 2016, Capita formally reported the incident to NHS England. In its report, Capita estimated that there were 580,000 items of ’clinical notes’. Capita told us that, with hindsight, it believes it could have reported the backlog sooner. In November 2016, Capita and NHS England carried out initial checks on the reported backlog of 580,000 items; these checks identified an estimated 170,000 items of clinical correspondence. NHS England, on clinical advice after reviewing a small sample, considered the clinical correspondence to be low risk, and advised internally that Capita should simply send the correspondence to the relevant GPs. However, NHS England did not ask or contract Capita to return the correspondence. By July 2017 Capita and NHS England had identified and logged 277,000 items of clinical correspondence. The logging of clinical correspondence was part of an agreed process to return correspondence to the correct GP. NHS England paused the review and return of clinical correspondence in August 2017 following an information governance incident. The incident triggered wider knowledge within NHS England of the return of correspondence. NHS England’s National Incident Team has now identified and clinically reviewed 374,000 items of unprocessed clinical correspondence. The vast majority required no GP action to be taken but NHS England identified 1,811 high priority items (such as documents deemed to be related to screening or urgent test results) and 25,361 low priority items. Following initial clinical review, by 20 November 2017 NHS England sent 18,829 items of misdirected clinical correspondence to relevant GPs, so that they could assess whether there had been any actual harm to patients. Clinicians within the National Incident Team reviewed another 8,343 items for patients that were deceased or did not have a GP. NHS England plans to complete its clinical review by the end of March 2018. It estimates that it will cost £2.4 million to review clinical correspondence for evidence of harm, including £0.3 million that it will pay to GPs. No actual harm has been identified yet. NHS England has not yet been able to stop GPs from sending clinical correspondence to Capita in error. NHS England told us it has continued to receive clinical correspondence from Capita, running at approximately 5,000 to 10,000 items of clinical correspondence a month. NHS England told us that it is planning an information campaign to ensure that GPs understand the guidance for handling correspondence for patients that are not registered at their practice. NHS England has not yet finalised its process with Capita for handling any correspondence that Capita receives in error. NHS England was due to complete a review during January 2018 to confirm there was no more unprocessed correspondence in the archives.